6. Seal sides of bread using fork. 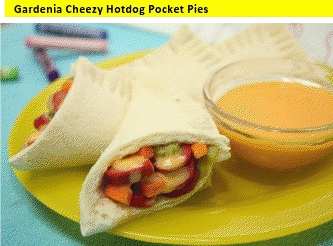 *Makes 11 Gardenia Cheezy Hotdog Pocket Pies. With Gardenia, mothers can make countless creative recipes that will make school cool for kids. Add a little more surprise—try a ripe banana or a sweet and crunchy apple—and you have the makings of a fun and complete nutritious meal that will not only make kids more at ease at school, but will also keep them excited for the next day! As an added touch, try slipping in a short note inside his lunch box. A simple message of love and encouragement will go a long way to keeping his spirits up and making an already amazing meal truly special. In no time, your little ones will be ready and excited to go back to school. Yes, change can be a scary thing, but it can also be exciting as demonstrated by these new fun and nutritious twists to the usual school baon! 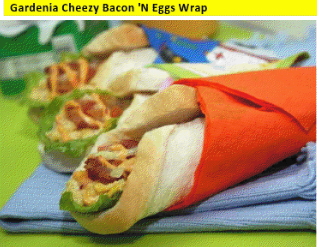 Visit Gardenia website, www.gardenia.com.ph, for more out-of-the-box recipes.